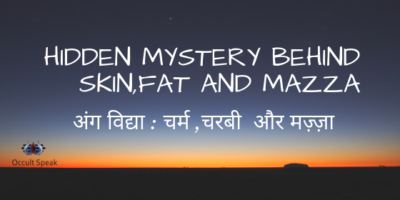 In my Angha Vidya Series, I have written about Shareer Lakshan Vigyan so far, depicting 10 bodily parts and its meaning. We have also discussed Stree Lakshan. 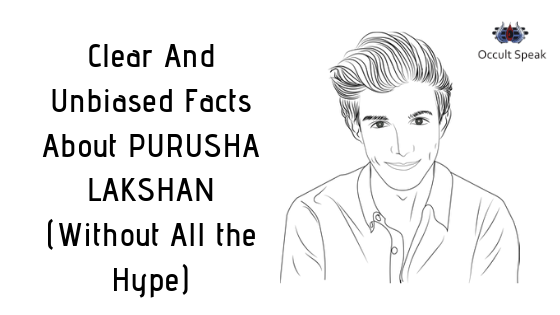 Now I will give insights on Purusha Lakshan wherein you will get to know different types of Purusha Lakshan and its meaning. Unlike in women, there are categories of women such as Hasini, Padmini, Chitrini, etc. Similarly, in Men, there is Samudrik Shastra and Angha Vidya mentions different types of Men and their personalities. People who fall in this category of Men have Strong influences of Jupiter planet, which is known to Eastern Philosophy and Astrology as Hansa Sangyak Purusha. Here Hansa Sangyak means Men those who have traits of Hasna. Hansa means ‘Swan’ and Sangyak means ‘Like’. Hence it means that men possessing qualities of Swan are known as Hansa Purusha. These people have fair skin and face, with oval and roundish cheek and magnetic persona. They have a good proportion of Nose which is a little bit higher than other Men. Face shape is either Oval or Circular in shape. READ: What is Angha Vidya? In their hands, they possess shubh lakshan such as symbol of shankh, lotus, fish, etc. Hansa Sangyak Purusha likes to live near to Lakes, Seashore, and they like to do a lot of travelling, possess good maturity level, handle critical situation smoothly, and also possess good business acumen. They generally have a long life. Facial expressions are good and by nature, they are very soft spoken and down to earth. Bhadra Purusha is said to those Men who possess extremely high qualities of business. They also have a well-developed mount of Mercury in their Palm. Palmistry says that such men are blessed with qualities of socialization, business and are extremely good at managing worldly affairs. They have Long Palm compared to others and have delicate skin and palm. Their body structure is well developed but they are extremely sensible and sensitive in nature, get hurt very often and have high imaginative power. The hair cut is usually small and skin texture is a bit hard. Their Chest is wide and strong and they possess Satvik Guna in nature. The height is also up to mark. The Facial expressions are usually seen as Lion’s face. They like Literature a lot and usually keep reading and gaining knowledge through books (Vedic literature), mentors and monks. They like to live a luxurious lifestyle and love mother nature. Their mindset is to stay independent and do not like to take help from others. Ruchak Purusha is said to be those Men who possess qualities or are blessed with inbuilt nature of Mars planet. In their palm – the mount of Mars is also well developed. They possess good eyebrow which attracts people towards them. Their face is a bit longer and these Men are extremely courageous, brave, short-tempered, but hard working. The skin texture is good but one won’t find extreme roughness nor softness in the skin and facial expression. These men like to travel a lot, belief more into Karma, are of helping nature, and are good in Occult Science especially in Mantra Tantra field. They make amazing career growth through Business Skills. Shashak Purusha is Men who possess or are blessed with qualities of Saturn planet. Their mount of Saturn – Shani – is well developed in the palm. Palmistry says that such men are always in a hurry and worried. They are well organized in their business, walk faster than others, IQ power is quite good than others, dominate on other people and are quite egoistic. We can see such people in Corporate or Defence at high posts such as Major or Army Chief. They like to be in the company of women. Many times they fall in a trap of extramarital affair also. They love their mother and also nature. But due to the inbuilt nature of suspicion, they break the relation faster and then feel guilty. Hence, trust issues always prevail in their life. They are good at handling criticism and they talk with their rival and enemies diplomatically which win the race. The height of Shashak Purusha is medium scale and they have the well-developed physique. They create their own fortune. Malavya Purusha is said to those Men who are good looking and handsome physically. These qualities are due to Venus planet. They have developed mount of Venus in their Palm. They have good muscles built up in their body. Hands are heavy but they have softness. The face is quite long, but looks smart and possess hypnotic eyes. Lips are medium but attractive and red in color. They attract people through their magnetic persona and are good at communication. They like to live in a good atmosphere, socialize with people, and love to roam around women. Let me know how you find this blog on Purusha Lakshan on Angha Vidya Series? Very informative post Nirav Bhai. Thank you for sharing this knowledge.